EtnoFitness - a fresh coctail of dance, exercise and workout! EtnoFitness is a modern and versatile dance & fitness studio located in Sörnäinen, Helsinki, just a short subway ride from the city center! EtnoFitness has gathered the hottest dance and fitness styles from around the world and brought them all under the same roof for everyone to enjoy! Our teachers are like wonderful travel guides who will offer you the best professional tips and tricks for learning each style, while having tons of fun and getting your sweat on, all at the same time! There are several ways of attending our classes. You can always choose the one that suits you best! You can buy a spot on a certain class for the whole semester or shorter periods of the semester. On most classes the semester is divided to three periods, A B and C that can all be bought separately if desired. The minimum length of one period is 5 weeks. The length of one semester is approximately 15 to 18 weeks, this varies by semester. We have divided the semester to three periods so that new students can join the class also in the middle of the semester. If the class you originally booked turns out to be wrong level or just wrong style for you, you can switch to another class, even in the middle of semester. You can request the transfer to another class by email (info(a)etnofitness.com) or at our reception desk. You can flexibly make up all missed classes! More info in the “making up missed classes” section below. If you are still looking for your favourite style, or want to attend many different classes instead of booking a spot on a certain class, our 5, 10 and 15 time dance card is just the thing to get you started! The dance cards are valid during the whole ongoing semester, either spring or fall, regardless of how many times there are on the card. Please note that summertime dance cards or other special offers may have shorter validity! When attending different classes by using your dance card, you don’t have to book a spot on each class in advance. You can sign up to the desired class by showing your dance card at our reception desk, preferably at least 10-15 minutes before the class starts. Please note that classes that are marked to be full on the timetable (“Täynnä!” in Finnish) can not be attended with the dance card. It’s also recommended to always check the online timetable ("Aikataulu") during the same afternoon before coming to a class. Via the online timetable we will daily inform all possible substitutes, changes and cancellations. Classes are rarely cancelled, but due to a teacher’s sickness a few cancellations may occur during the season. Dance cards are a good option for those who don’t mind going to many different classes during the semester. If you already know that you would like to try out a certain class, we recommend making a regular booking instead of buying a dance card. This way you will always have a spot on the class you most want to attend. All classes can be attended with one time payment, wihtout making any booking in advance. 55 minute classes cost 16 euros, 70 minute classes 18 euros and 90 minute classes 20 euros. Before arriving to a one time class, please check our online timetable ("Aikataulu") for possible substitutes, changes, cancellations and full classes (marked "Täynnä!"). We all get the incidental flu from time to time, have our niece’s birthday party to attend, get stuck at work on a busy day or just get bitten by the lazy fly every now and then. What ever your reason is for being absent, you can make up every single missed class during the whole ongoing semester (spring or fall semester). Yes, and it actually is very easy and flexible! You can make up the missed classes at any other weekly class that isn’t marked full ("Täynnä" in finnish) in our online timetable. Events or other special classes are not included. The make up class doesn’t have to be the same style as your regular class. If your regular class is, for example, Dancehall reggae, you can make up your missed classes in another dance class, a dance fitness class, a body & mind class or a workout class. This offers you the chance to check out new styles and class categories, if you like! You can also make up your forthcoming absences in advance! If you know that during the semester you will have a work trip, a funeral, a busy period at the office or a vacation trip, you can make up the classes that you will be missing, in advance. You can start making up all future absences right after you have paid for your class for the semester. If learning the most authentic and correct style and technique is important to you, then a dance class is the way to go! On our classes students learn the moves by mimicking the teacher while he/she is showing the moves and explaining all the important technical details. You will be moving almost constantly instead of just standing around and looking. Practicing this way is very effective and will also keep you fit! Just want to dance, have fun, shake it, get sweaty and not worry about the technique or coreography too much? Our dance fitness classes are desinged to bring you the best of each style in a fun, easy and energetic package! This is a great way to get your daily dose of cardio while also learning the basic moves of different dance styles. 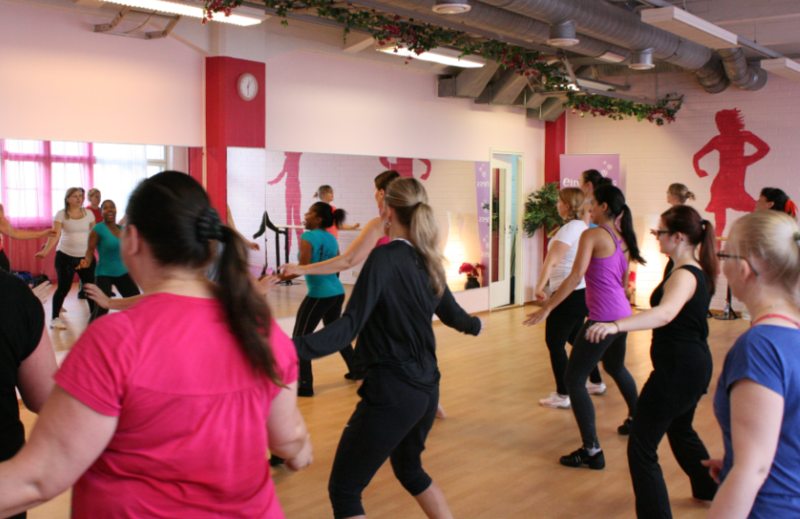 We have many dance fitness classes with several themes and fun combinations, so be sure to check them all out! It’s like going to a club but so much better! 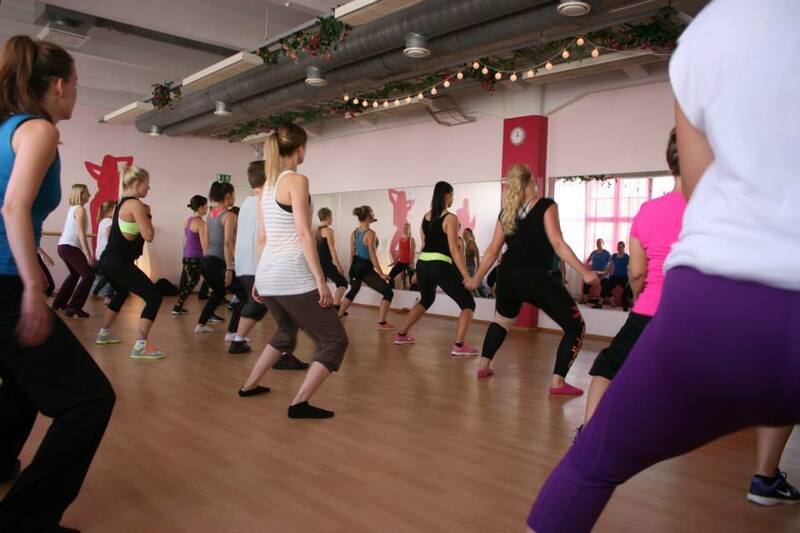 How about a class that combines both dancing and exercises that strengthen your muscles? Or a class where you can use your own bodyweight to tone up? That’s what our workout classes are about, nothing boring on monotonous in sight! Classes like EtnoTreeni and Rumbita Fuerte will help you get fit in a fun, relaxed and positively challenging way. You don’t need to be Hulk Hogan to attend these classes! Just try them out and find your own favourite! In addition to dancing, you can also unwind in a more mellow way. Body & Mind classes like Yoga and Pilates are just the thing you need after a hard hectic day. Our professional instructors will offer both easy and more challenging alternatives for you to choose from, so you can always do the moves in a way that feels best for you. No stress, just music for your mind and body. Different levels on dance classes and some body & mind classes are marked with numbers 1, 2 or 3. It tells the level of the class. All the classes without the numbers (like dance fitness classes and workout classes) are open level classes and anyone can join in. Level 1 classes are beginner classes and designed for those who have no earlier experience of the style. Level 2 classes are intermediate classes for students who already know the basics very well and are ready for a little extra challenge! Level 3 or 4 classes are advanced classes designed for students who have been learning the style for minimum of two years and already master the basics and intermediate level techniques very well. So that everyone can have an equally pleasant leisure time experience at our lovely studio, it’s good to line up some basic ground rules that apply to all students. We promise that these simple rules aren’t irrational or hard to follow at all! 1. Please arrive to your class on time. Every class starts at the exact time that is given in our timetable. Our staff is not bound to let anyone who is arriving late attend a class that has already started, so please make sure that you arrive on time! 15, or at the latest 10 minutes before the class starts is the suggested time of arrival. We don’t have locked kabinets, so please take your valuables with you in a purse or gymbag when you go to your class. EtnoFitness does not take responsibility for personal items that are left in the dressing rooms. It’s important that every student picks the right level class, not too easy or too hard. Level 1 is beginner, level 2 is intermediate and level 3 is advanced. Remember that you can always switch to another level during the semester. Please ask your teacher for advice about the next step at the end of the semester or contact us with any questions concerning different levels before you sign up. We are more than happy to help! 4. Please make up your missed classes on time. All missed classes can be made up during the whole ongoing semester. Missed fall semester classes should be made up during the fall semester, missed spring semester classes should be made up during the spring semester, and so on. Please note that it’s your own responsibility to make up all missed classes on time, so don’t leave this to the last minute! If you have an accident or longer sick leave that prevents you from attending your class, please contact us as soon as you can! The validity on absences caused by an injury or long term sickness can be lengthened with a doctor’s note. EtnoFitness claims the right to determine the prolongation of all sick leave absences case-by-case.